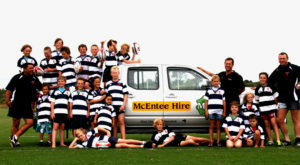 As a club, we have a list of objectives as a guideline for all of us involved in Junior rugby at Mahurangi. They are as follows:To promote Junior Rugby. To promote the values of honesty, integrity, fair play and the will to win in a safe environment. To support and encourage the development of coaches and coaching skills. To treat all players fairly regardless of ability in a team environment. To promote the rugby club as a positive environment for family. J7 & J8 play BEGINNING/RIPPA Rugby (age 5& 6) playing on half fields. J6 & J 5 play LEARNING Rugby which introduces tackle play on half fields. J1- J4 teams all play full field, tackle rugby. If you are interested in joining the junior club please feel free to Contact Us. *As a club we rely heavily on the sponsorship of local businesses in the community to help keep us afloat. 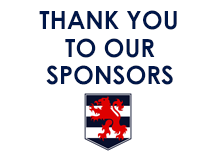 If you are keen to offer sponsorship please let us know.